Dr. Jon was first introduced to chiropractic care after being involved in a car accident at age 18. The pain left him unable to play sports or lift weights, which were a large part of his active lifestyle. The chiropractor helped Dr. Jon cope with the pain and difficulty of whiplash, and stabilize his health. Dr. Jon continued to see the chiropractor after his problems resolved, entering the wellness phase of care to experience better function. He even got better sleep and generally felt more alive. Not only was Dr. Jon able to go back to sports and weightlifting, but he found he could perform even better due to the increased function chiropractic care gave him. After finishing his undergraduate degree in Kinesiology at Laurentian University, Dr. Jon worked for a time as a Kinesiologist and exercise specialist. With such a remarkable chiropractic experience under his belt, Dr. Jon felt that the next step was to move on to Canadian Memorial Chiropractic College. He received a Doctor of Chiropractic there and continued weightlifting through his college career. Dr. Jon was a competitive Strongman athlete at an amateur level but experienced an injury in his fourth year of chiropractic school. This injury caused Dr. Jon to return to his hometown of Sudbury. He met Dr. Nelson, who became his chiropractor and mentor. It was from Dr. Nelson and his 34 years in practice that Dr. Jon learned how chiropractic care was not just for pain, but rather could help the body reach its maximum potential through the correction of spinal and nervous system dysfunction. Dr. Jon uses instrument-based adjusting Activator Methods® as well as manual adjustments and Thompson drop tables to help patients of all ages. The amazing results Dr. Jon experienced from these techniques has fueled his dedication for what he does today. Dr. Jon continues to strive for excellence both in the clinic and outside. He has competed in amateur level bodybuilding and powerlifting. 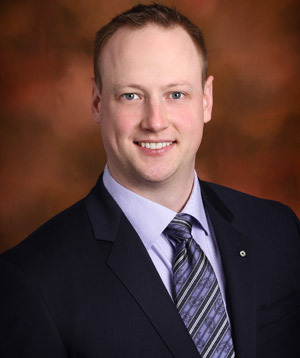 Dr. Jon enjoys playing golf and curling in the winter. His love for health, wellness and strength training creates a lifelong passion for helping others. Dr. Jon looks forward to the opportunity to help you relieve, restore and rebuild your body to its maximum potential. See what your body is capable of when it works to its highest abilities. Schedule your appointment today!